When you are looking for uPVC windows in Edinburgh, be sure to come to Celsius Windows. We have been installing quality double glazing across the region for years and we would be delighted to speak to you today if you are thinking about having new windows installed. Our team of glaziers will ensure that your windows and doors are fitted with precision giving you years of reliable use. 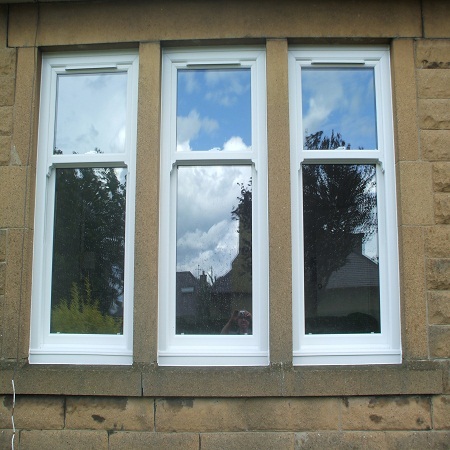 There are many reasons to consider uPVC windows in Edinburgh. The Scottish winter can be harsh, but double glazing can keep the coldest of chills out. What’s more, they can also stop noise pollution so if you live in a louder part of the city, you might benefit from the noise insulation properties of good quality uPVC windows. When you are looking for a quote for uPVC windows, come to Celsius Windows. We offer nothing but the best in windows and doors and we give you a guarantee at the time of fitting. If you should experience any problems with your windows or doors whilst your guarantee is valid, we will come out at your convenience to rectify these issues. We take great pride in our customer service and would be delighted to speak to you today and come and give you a quote to consider at your leisure. Speak to our friendly team today to find out more about our range of services and our windows and doors. We would be delighted to tell you more. When you are looking for the best windows and doors that money can buy, get in touch with our friendly and professional team. We have been fitting premium uPVC windows in Edinburgh for many years and we would be delighted to tell you more about the many benefits of having double glazing fitted. Double glazing is an investment for the future and will add value to your property. Speak to us today to find out more about our range of windows and doors. We can supply you with a cost-effective quote today. Call the team at Celsius Windows today to find out more. Our team is standing by to speak to you now.